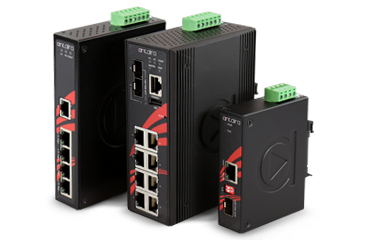 Antaira's industrial Ethernet switches deliver ease of use, reliability, and security to industrial Ethernet networking infrastructures. 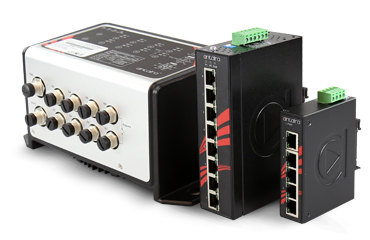 There is a wide array of industrial Ethernet solutions including unmanaged Ethernet switches, managed switches, and rackmount switches with Power over Ethernet (PoE) capabilities and extended temperature operating models. Antaira offers a wide variety of industrial Power over Ethernet (PoE) devices with standard or extended temperature models for harsh outdoor environments and complies with IEEE 802.3af/at standards. The industrial PoE managed and unmanaged switches have many port counts available to operate on either 12-36VDC or 12-48VDC. Antaira’s low voltage (12-36VDC) Power over Ethernet (PoE) unmanaged and managed switches are the most economical and efficient solution, as they accept low voltages between 12 to 36 volts to power on and supply the full IEEE 802.3 af/at PoE in a single device. This eliminates the need for a separate step-up transformer and saves space in an enclosure by only using one device. Antaira’s industrial and reliable IEEE 802.11 wireless Access Points (AP), bridges, clients, and routers with DIN rail options have been designed for harsh environments with extreme temperature conditions. 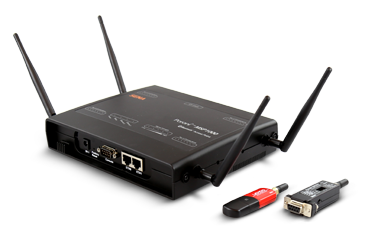 These devices can operate on both 2.4Ghz and 5Ghz wireless frequencies. Antaira also carries Bluetooth to RS232 converters. 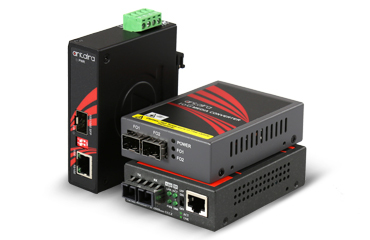 Antaira's industrial media converters are compact and easy to use devices designed to extend Ethernet networks beyond the limitations posed by copper cables. 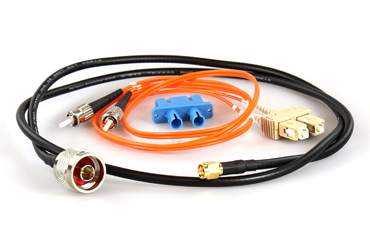 There are multiple models of managed and unmanaged industrial media converters to extend copper to fiber, multi-mode to multi-mode and multi-mode to single mode. 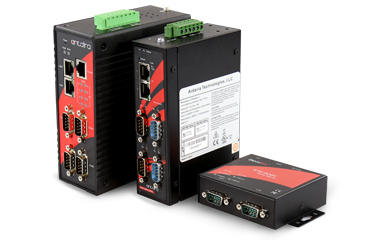 Antaira's industrial serial communication products range from serial to Ethernet, serial media converters, multi-port serial cards, serial to wireless, fieldbus gateway (including MODBUS), and industrial USBs and hubs. 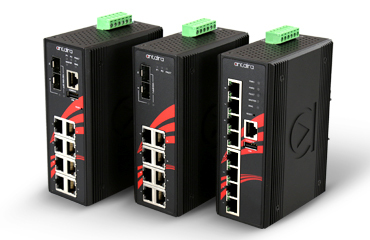 Antaira focuses on transmitting reliable serial connectivity over RS232, RS422, and RS485 across different networks. Antaira offers specialty solutions for industrial networking communication devices with M12 connectors (X-coded and A-coded), compact devices, and conformal coating protection. Products have also been Class 1 Division 2 certified to operate in hazardous applications involving highly corrosive gases, moisture, and debris. 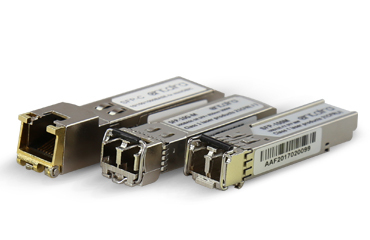 Antaira's compact and hot-pluggable SFP/XFP modules include 10G, Gigabit, and fast Ethernet interfaces with copper and fiber options that are suitable for wide operating temperature environments and provide flexibility for any network upgrade. These modules are 100% compatible with Cisco, 3com, HP, and more. Antaira is an authorized MEAN WELL distributor offering a wide variety of industrial-grade power supplies and power adapters suitable for any power requirement. 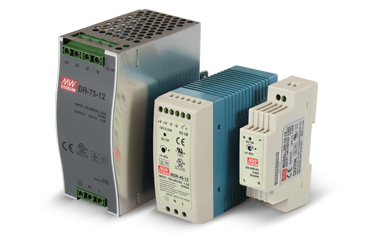 These devices are DIN rail mountable and are perfect for industrial applications. Devices range from 10 Watts to 960 Watts with 12, 24, and 48 VDC options. 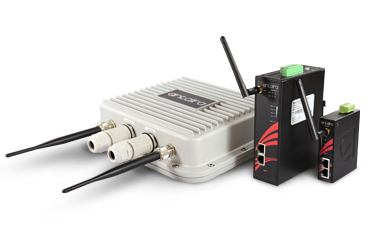 Antaira offers industrial Sena serial device servers, Bluetooth wireless converters and modules, and Zigbee wireless modules and adapters for industrial and enterprise applications.